The new version of Strawberry, a project-based asset management software, now offers a Communications System that simplifies collaboration within production teams even more. The latest software update also comes with a more powerful and intuitive user interface. 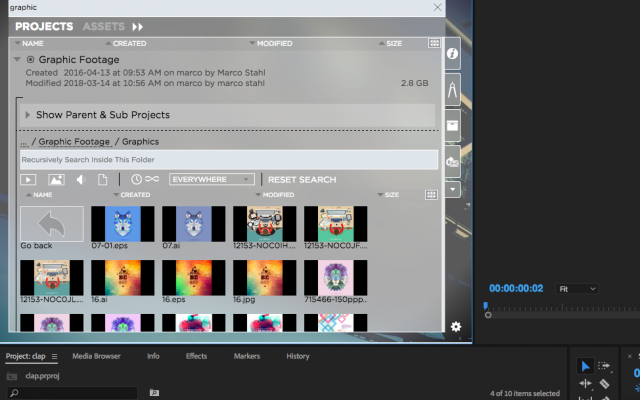 FlavourSys, an independent software company delivering products designed to improve the day-to-day workflow of any content production facility, today announced the latest version of their Production Asset Management (PAM) tool Strawberry (v. 5.4). 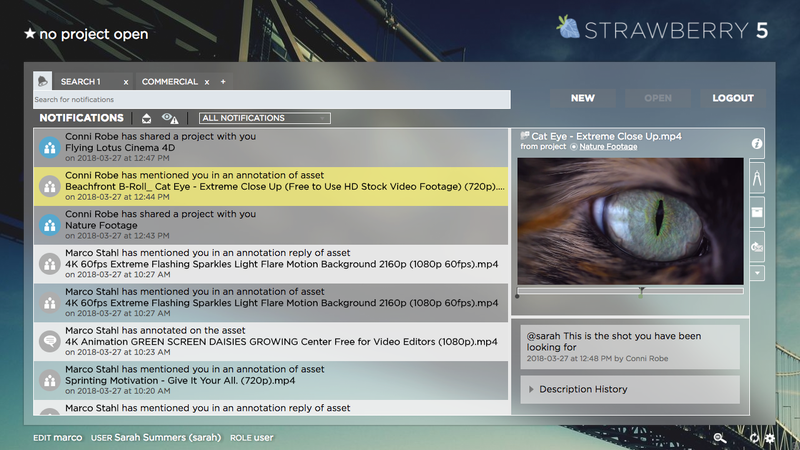 Many broadcast and video production facilities around the globe have been benefitting from Strawberry’s excellent search, storage organization, and project sharing functionality. Strawberry is platform independent, working with any major editing and motion graphics application and is certified for most of the major storage vendors. From its origin, Strawberry has been a tool designed by editors for editors with ease-of-use and flexibility in mind. 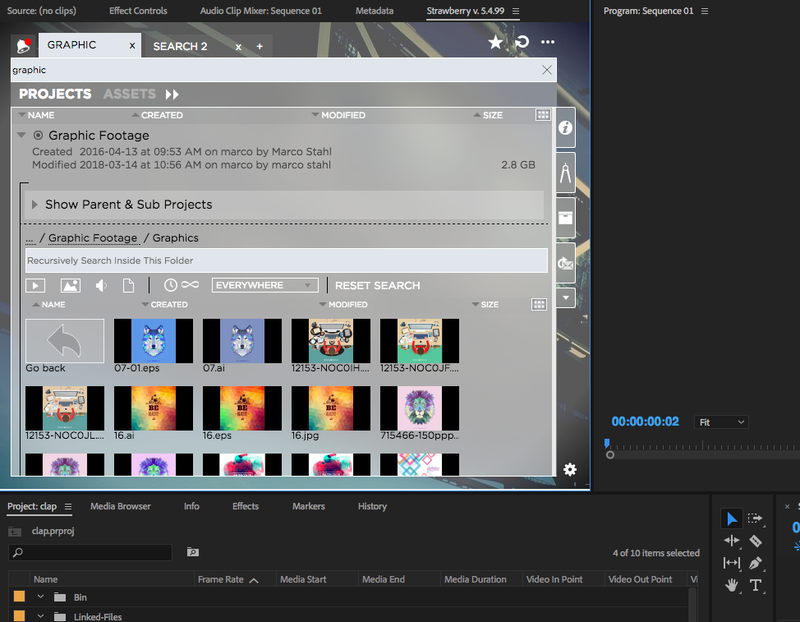 The new User Interface puts more functionality at the fingertips of the creative team. Part of this are the new Search Tabs, which are common in web browsers, so editors can save searches in a tab for easy reference. Asset-Based Custom Metadata allows customers to define particular drop-down fields for asset tagging independent of project. Use cases include expiration dates for media or approval status. Strawberry combines powerful project collaboration and asset management while giving customers the flexibility and choice of how to build the hardware infrastructure as they see fit. Broadcasters, Production Facilities, Advertising Agencies, Film Schools and more all use Strawberry to help them produce compelling content efficiently. FlavourSys will exhibit at NAB in the Lower South Hall at the ToolsOnAir booth (SL14813). FlavourSys is an independent company founded on the principle of delivering innovative software products designed to improve the day-to-day workflow of any content production company. 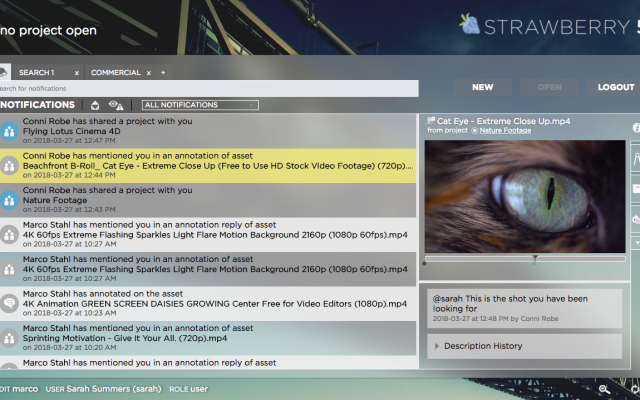 Strawberry, a production asset management application, was created by editors for editors with independence, efficiency and flexibility in mind. Recipient of the 2011 IBC Broadcast Engineering Award, Strawberry originated as in-house software created in a live production environment at a German Television facility. Thus, the requirements of stability and reliability were also ingrained in the product from inception.